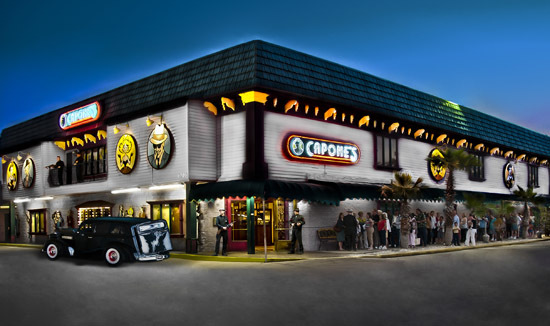 Capone’s Dinner Theater & Show opened in the Orlando area in 1992. We are one of Orlando’s original dinner theater shows. 2017 marks our 25th Anniversary of being a top-rated Orlando attraction! My original desire as the principal owner was to bring something different to the Orlando area selection of dinner theater shows. As a consumer you have many choices in Orlando for dinner theater shows ranging from elaborate arena-style dinner attractions, to the more intimate dinner theater show experiences. Throughout my dinner theater show history, my aim has always been to be in tune with our guest experience and try to enhance our guest satisfaction. We have made many changes to our show throughout our history to freshen guest experience and improve it. We opened a sequel to our original dinner show in 2007 and performed a special anniversary show throughout 2012. We have continued to evolve since the new show opened, adding new musical productions and enhanced interaction with our guests, providing a fun interactive dinner theater show choice in Orlando. It’s a hit! A highly important part of the experience is the dinner portion of the evening. We have always prided ourselves on having the best dinner when compared to other Orlando dinner theater shows. By serving buffet style we have a huge advantage over our competitors, our food is fresher. We don’t have to plate your food and then put it in warmers before you arrive. In early 2009 we hired a new chef with a strong history in Italian cuisine, further improving our food quality. Read the entire menu and prepare to be pleasantly surprised. 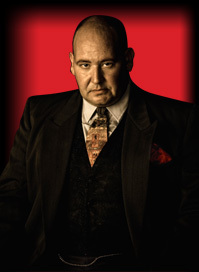 So bring your gang to Capone’s Dinner & Show… you’re gonna have a blast! For many years we have assisted our guests with advice on fun things to do in Central Florida. Some people want to know unusual places to visit or maybe not-so-well-known attractions or restaurants. With so many major theme parks and smaller ones, to the water parks, natural attractions, museums, shopping and more, it’s great to receive wise advice from the locals.